Each Friday, DCH performers, teachers, and students offer their recommendations for what to watch, read, see, hear, or experience. This week David Allison plugs without shame, Jonda Robinson catches up, Amanda Hahn looks back, and Ryan Callahan watches a master at his craft. I’ve recently gone through and absorbed much of Elton John’s career in preparation for an upcoming show at the Dallas Comedy House on 8/23 at 10:30 pm (Shameless plug). Because he’s been around for like forty years, it’s easy to forget just how much stuff he’s done in his time. 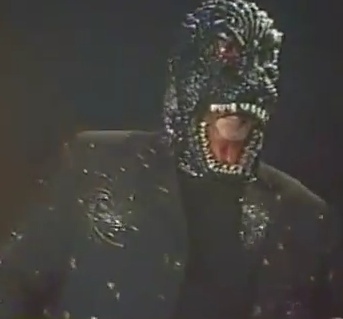 Yes, you know that he wrote “Tiny Dancer,” but I bet you didn’t know that he performed a show in Japan in a Godzilla mask? I’m sure that you remember his scores for movies like The Lion King, but I would imagine you completely forgot about his appearance in The Country Bears. And I bet you’ve heard his Marilyn Monroe tribute song “Candle in the Wind,” but were you aware that he re-recorded a version upon the passing of Princess Diana? If you don’t believe that Elton John is great, ask the internet. Because of his amazing talent and theatricality, Elton John has long been a favorite of humans. And due to the wonderful existence of the internet, we can all enjoy the absurd efforts of these super fans. This one started out strong enough with a singing Sun, but quickly ran out of steam when I remembered it was anime. Set to the same song, this next entry is much more watchable, but lost me about halfway through when I failed understand if the robots were holding hands or passing robot pills. The true gem is this Christmas video, created by a Russian fan. Simply entitled “Merry Christmas to all Elton John fans!” this little number was inspired when a to be fan attended her first Elton show in Moscow. Part Holiday footage, part shots of curtains being pulled up to reveal Elton John at a piano, this one is a start to finish treat. I’m hesitant to write about this, only because I’m super late to this party, but I might as well be honest and let you in on the thing I’ve been loving the past few weeks: Gilmore Girls. I was only recently introduced to Lorelai and Rory by a friend, and ever since I’ve been spending quite a bit of time in Stars Hollow having coffee at Luke’s and getting to know all of its quirky residents. There are many great things about this show that I could point out: the cozy setting that lends itself to a cast full of interesting characters, the relationship dynamics at play, or even the sheer amount of food that is consumed in the course of an episode (I only wish I could live on cheeseburgers and cookie dough and still look like Lauren Graham). One of the things I enjoy most about this show, however, is its abundant use of allusions. That’s right, folks, if you want me to get hooked on whatever you’re writing, throw in some quality literary/historical/pop culture references and I’ll jump right on board. The dialogue moves so quickly that if you blink you might miss one (ok, not blink, but whatever is the equivalent word for your ears), and I enjoy every fleeting reference covering topics from English monarchs to Edith Wharton and so many things in between. Even if there are many I don’t get right away, I appreciate the smart writing. This week I took a walk down memory lane. My friend/stand up/current DCH improv student Tyler Simpson and I were talking about terrible poetry. Which led to his very own poetry of his younger days. I loved it. I love all of his poetry and writing because it’s perfect. It’s such a perfect example of a time in our lives that most of go though. It’s that time period usually after high school, or sometime in the early college years, where we all think we have life figured out. We can feel ourselves flubbing about, but we find romance in feeling like we’re lost or helpless, or that no one else gets the world quite like we do. During that sweet little time period, we think we understand everything: philosophy, love, hardship, art, poetry, people. We get it all. We (or at least I did) joined clubs to try to change the world because our ideas really mattered. We (...or at least I did) teamed up with a couple of Marxists to try to combat racism all by ourselves. We joined a group to support the gay community at our college because we really thought we, as an individual, would make a dramatic difference at how people perceived homosexuals. That feeling lasts until we mature, just a little more, and realize we don’t know a thing. Over the past week I've had a lot of time to myself. My girlfriend was away on a trip and I was home alone, much like Macaulay Culkin in that movie, My Girl. Unlike young Mr. Culkin I did not attempt to fill my down time by defending my home from an invasion of bees only to get stung by the bees and die tragically (Spoiler). I chose to spend my time home alone watching hours of the old Batman TV show. For those unfamiliar, Batman ran for three seasons in the 1960's. It starred Adam West as the Caped Crusader and Burt Ward as Robin, The Boy Wonder. For the first two seasons, the show aired twice a week, with the first episode ending on a cliffhanger that was paid off in the next. The show was originally meant to be a serious action tale but once the producers read the comic they decided the only way the show could work was as a camp comedy. When I first watched the show, as a child in the 80’s, I had no idea the show was a comedy. Now I watch it and I see it as the source for many of my ideas about comedy. It’s a comedy show about crime fighters. If you know me, you probably know that is something of an obsession of mine. It turns out many of my favorite comedy tropes – overly literal signs, super villains with themed henchmen, ridiculous gadgets that serve one narrow purpose – come from this show.